◊Work glove offers maximum comfort and durability. ◊It features a padded palm patch for better grip and anti-vibration protection. •You will receive a 22" shaft only. A Magrath replacement shaft comes complete with a collar and nut! • The Tri-Bander is designed for bulls weighing from new born to 350 pounds. •Band opens to 2 1/2 " X 21/2 " X 2 1/2". as strong as the green bands. put in place and release. • Includes 10 free bands. Bans sold When you buy from MBJ RANCH ONLINE, your satisfaction is our number one priority. If you do not feel comfortable giving us 5-star ratings across the board, please contact us before you leave any feedback so that we can make things right. •Use anywhere along entire side. You will receive a 34" shaft only. A Magrath replacement shaft comes complete with a collar and nut! The Magrath Stock Prod is designed to help handle and move livestock effectively and efficiently. As a market leader, it has proven itself on the road and in the stockyards for over 40 years both in the US and throughout the world. Time tested and proven effective. ◊Durable vinyl body with temple protection. Ready-to-use finely machined hubs to fit V-, W-, or X-series sprockets and pulleys. Simply clamp and weld without special jigging. Choose round bore with keyway and set screw or spline bore with set screw or stock bore. 1 5/8" X 3 3/4"
Hopkins HD 7-Way Pin Type Trailer End With Cable Protector is a high quality direct fit replacement part. It is designed to provide consumers with innovation, durability and performance. It features plug-in simple wiring kit. Hopkins HD 7-Way Pin Type Trailer End With Cable Protector offers no cutting, no splicing installation. •As a market leader, it has proven itself on the road and in the stockyards for over 40 years both in the US and throughout the world. Time tested and proven effective. •The solid state electronic system has no moving parts to wear out or replace. Molded of tough structural grade, high-impact plastic & includes a flexible shaft. •Gives efficient electrical conduction & long battery life. •* Displaces approx. 5,500 kV. •Uses 4 high energy alkaline C batteries (not included). We also carry a all sizes of shafts. Please search in our store. 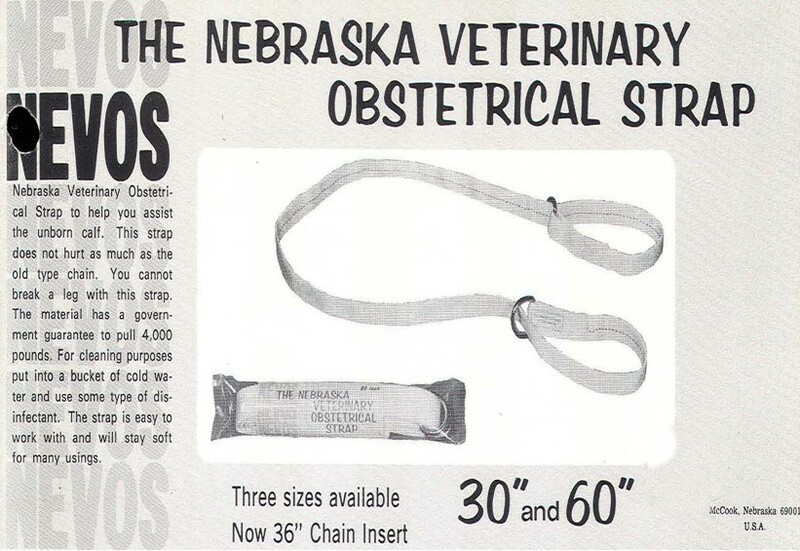 Magrath New Obstetrical Straps Cow Calf Pull Unborn Assist Strap Calves 30"
Straps does not hurt as the old style. You can not break the leg with this strap. •The finest livestock prod on the market today, the DuraProd is designed for user comfort and safety. Features include patented technology to reduce feedback shock, sealed circuitry, rubber handle grip to reduce fatigue, oversized trigger, hand guard, built-in safety switch to reduce accidental use, and snap-on battery pack (included) for fast battery changes without tools. Hot-Shot continues to lead the industry with our dependable, commercial-strength prods. Every unit is factory tested to high performance standards, making it the ongoing brand of choice for farmers, ranchers, and professional stock handlers and haulers. When used correctly, electric prods are a safe, humane way to aid in the movement of livestock; be sure to read and understand all documentation included before using this product. Comes with an interchangeable 32 inch flexible shaft. Four C-cell batteries included. Also comes in a rechargeable model; other shaft lengths and styles are available. ◊Gardening glove offers maximum comfort and durability. You will receive a 9" shaft only. A Magrath replacement shaft comes complete with a collar and nut! •Very popular compact style of show lead, easy to attach and remove. •For calves and small breeds. • 4.4" / 11 cm long. • Thumb Straps Will Help While Pulling On Gloves. •All-weather writing paper that sheds water and enables you to write anywhere, in any weather. •This notebook has a place to record ID numbers, the dates of service and the estimated due date of the calf. •There is also a handy column for comments. •3 in x 4 5/8 in perfect bound. •Yellow Field-Flex cover with 32 custom Cow Breading pages and 16 Universal pages (48 sheets) of 20# Rite in the Rain. New SO NYC Red Orange Square Home Sofa Decor Case Cushion Cover Size 18"
• Package Content: 1 piece Cushion Cover only. • Material: 100% polyster, soft, durable and breathable textured fabric. • Measurements may vary up to 1 inch since item is handmade. Hidden zip. • Tumble dry on low. Do not use bleach or softener. Handle features easy care hole hanger.